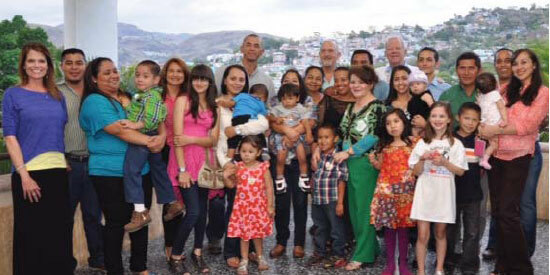 Members of the Rotary Club of Memphis East are changing the lives of children throughout the world. Through Gift of Life Mid-South, a project founded by the Rotary Clubs of District 6800, children with congenital heart defects who have limited or no access to health care are afforded medical treatment at premier pediatric facilities. To date, the Rotary Clubs of District 6800 have partnered with Le Bonheur Children’s Hospital and various Memphis organizations to give 47 children a new lease on life. 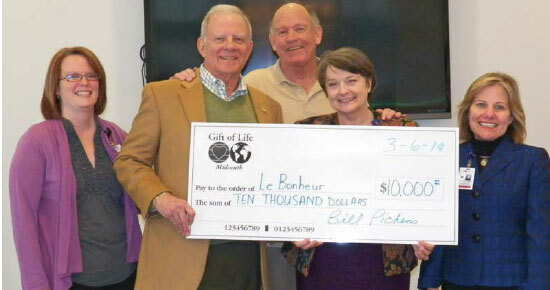 Above, Gift of Life Mid-South donates another $10,000 to Le Bonheur’s Heart Institute for the ongoing care of children.